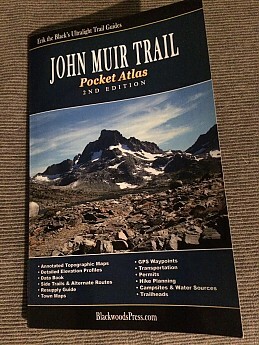 The is a great, extremely light, pocket atlas/set of maps for doing the John Muir Trail. I picked up Erik the Black's Ultralight trail guide for the JMT last summer for use on a couple of section hikes I was doing. The trail guide is only about 2.5 oz, very thin, and about the same dimensions as most paperback books available now days. Each of the maps in the guide include an elevation profile, information on camp and water locations along with a variety of other information useful during your hike of the JMT. 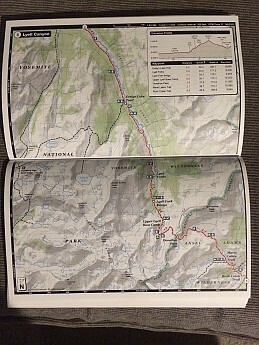 This really is a great set of maps and a competent hiker with average navigation skills will find this is all they need for the JMT. While some hikers feel they can get by with just a navigation app on their smart phone, I am a firm believer that anyone going into the backcountry needs to carry a map and compass period, and also know how to use them. Smart phones can die or break and you need to have a map in case that happens. Thanks for the review of this map/atlas, Mike. I wasn't familiar with Blackwoods Press, so it's good to learn about them. 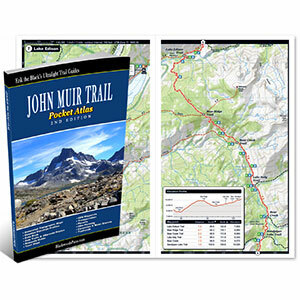 The Blackwoods Press John Muir Trail Pocket Atlas is not available from the stores we monitor.